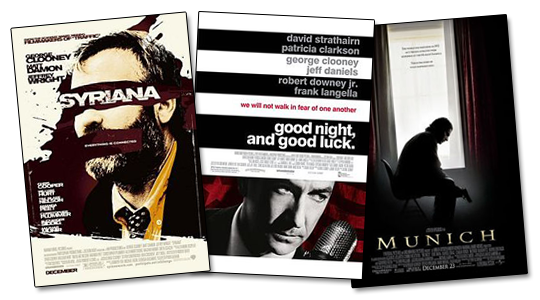 Argo let you finish, but Syriana is the most mediocre geopolitical thriller OF ALL TIME! … but various others were knocking around at the less Oscar-buzzy end of the spectrum as well. And they were all being taken very, very seriously. Well, one must have slipped through the net because Ben Affleck’s Argo is — despite arriving seven years late to the party — working to a remarkably similar model. Making clear its intentions from the start, with a 70s-style title card and an opening credits sequence full of faux print damage, Affleck’s follow-up to The Town is a love letter to the classy, serious political thrillers of yesteryear: films like All The President’s Men that strived to entertain and inform in PRECISELY EQUAL measure. It’s a noble ambition, and one that produces a consistently engaging and exciting result, but — as was the case with 2005’s serious thriller set — it also renders Argo an inescapably silly movie. This is a film in which every single thing that happens, and I mean literally everything, happens *just* in time. Developments that unfold over weeks, months, even years, are still finalised just milliseconds before the final deadline. Everything is intercut, Nolan-style, in an effort to inject a sense of jeopardy into an operation that was, more often than not, quite a slow process. Sometimes this works brilliantly, and only heightens the powers of an impressive ensemble cast (including Ultra Culture favourites Scoot McNairy, Clea DuVall and Bryan Cranston). Other times, as with a scene in which John Goodman makes it halfway across a studio lot in the time it takes a phone to ring, it just stretches credulity. 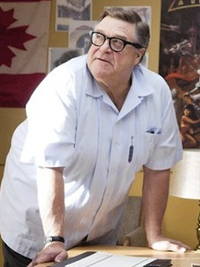 John Goodman’s average pace is not what it used to be. Perhaps I’d find this less troublesome if the film wasn’t already being hailed as a strong contender for film of the year, and to be fair the hype is hardly Baffleck’s fault. 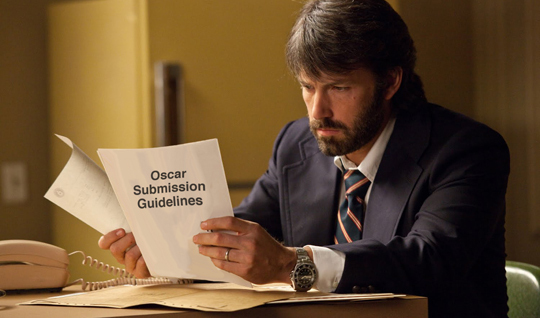 But when the strongest positive adjective I can muster for Argo is ‘functional’ and my list of negatives includes ‘monotonous’, ‘pedestrian’ and ‘faintly absurd’, it’s disorientating to hear that it stands a solid chance of beating The Master to next year’s Best Picture award. The 2006 statuette on the other hand, Affleck is welcome to.